What can we learn from Threatin’s mistakes and failed attempt at earning respect? This past couple of weeks, you may have heard the name Jered Threatin, sole member and multi-instrumentalist of rock act Threatin. If you haven’t, then you’re in for a shocking read! The band embarked on an epic European tour through November called “Breaking the World 2018”, with gigs booked at some of the continent’s most prestigious venues. Everything was going swimmingly, except… no one showed up. Out of his depth, the LA one-man band shocked the world through a series of manipulations, the likes of which the music industry had never seen. 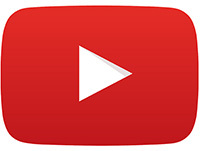 Threatin made the headlines and topped search rankings through coverage of his lies and deceit. “Fake it ‘til you make it” indeed! In this article, we’ll look at the marketing strategies Threatin used to improve his exposure and reputation illegitimately, then consider how these same strategies can be used authentically to achieve positive results. 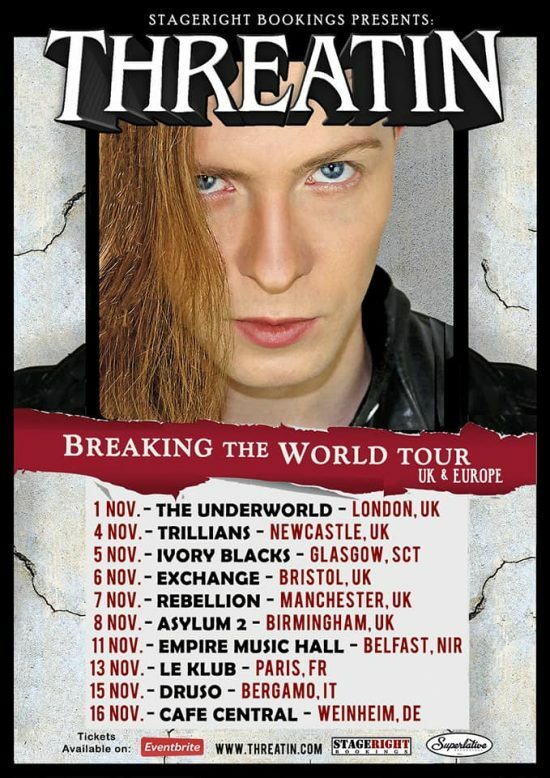 Threatin tricked venues into believing he was a big-shot rock star in the states, with an impressive “fan base”. Multiple video views, fake websites and thousands of ‘likes’ further bolstered the appearance of his success. 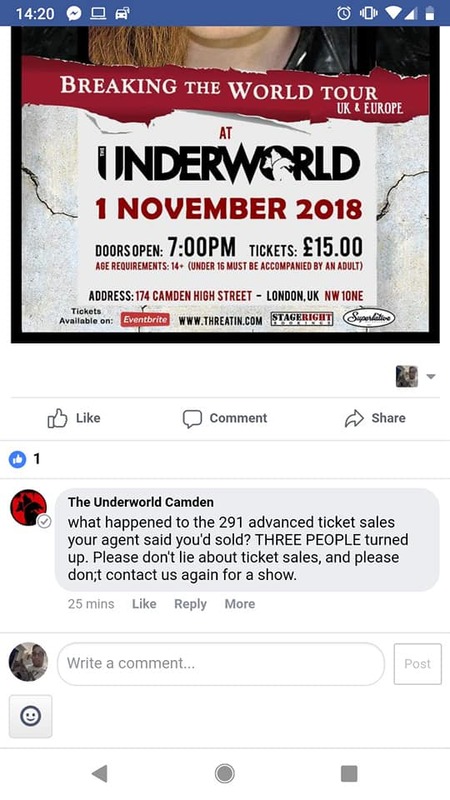 With thousands of people registered as ‘attending’ on his Facebook event pages, it came as quite a shock when it came to light that these so-called ‘fans’ were bought. Once the venues began to figure out what was happening, word quickly spread of Threatin’s no-shows. What I’m getting at here, is that any unearned fame a business achieves – particularly of this deceitful magnitude – is incredibly damaging. We’re talking about broken trust and a tarnished, irreversible reputation. So, let’s look at the strategies and techniques Threatin used, and how the results (fake though they were) he paraded to venues and gig promoters can be achieved in similar ways by taking a much more ethical course. No matter what your type of business, hard work and the right knowledge can help you improve your standing within your industry. One of the ways Threatin tricked so many people involved creating fake music record labels and music review websites that linked to the main Threatin website – just in case anyone (i.e. a booking agent or a promoter) went deep enough down the rabbit hole to check his sources. 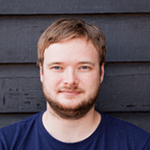 Creating websites purely for the purpose of improving your own reputation, or receiving backlinks to your own website – also known as ‘link farming’ – is actually a form of what is generally referred to as ‘Black Hat SEO’. Black Hat SEO methodology involves cheating the system by tricking search engines into believing that your services are trustworthy and of high quality, and are therefore worth being seen by a large audience, resulting in an increase of ranking keywords. Taking part in this activity can lead to Google penalties that result in heavy penalisations that may even result in the removal of your website from Google’s index! If your business has affiliations with other businesses, or even if your business is owned by a larger company, you can actively enquire about receiving backlinks from their websites to your own website. This can be in the form of articles, guest posts or even footer links. Not only will this help from an SEO perspective – natural links from relevant, strong domains will send good signals to Google’s search spiders – but it can also lead to referral traffic reaching your website that may never have arrived otherwise. If you have a press release or something you want to shout about, doing so through companies that actually exist and have a real affiliation with your business is completely acceptable, and actually recommended. If it’s feasible, a company Wikipedia page can be a great way of showing more of your company on Google’s Search Engine Page results (SERP), and it can also be a great way to use backlinks to support your company’s Wikipedia history. However, you must always make sure it’s neutral and only states the facts; not opinions. 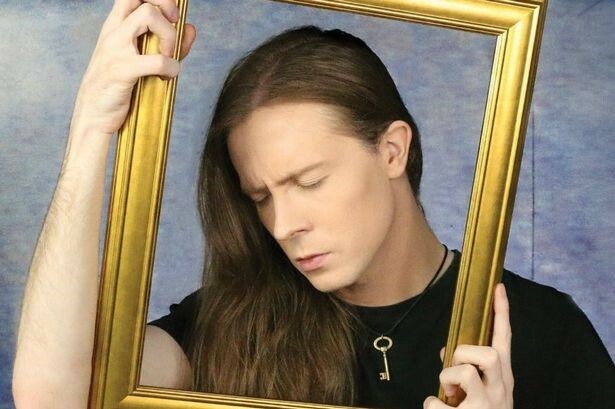 Threatin paid illegitimate, black hat companies for ‘likes’ on his Facebook page from fake or irrelevant accounts (people also getting paid) that had no interest in his music. He did this to make himself and his music appear more popular than it is. This was done with the aim of improving reputation and deceiving venues into thinking he deserved to headline numerous shows. It’s fair to speculate that a secondary (or even primary?) motive was to boost his own self-esteem and self-worth. Additionally, the various venue event pages for his European Tour gigs had “attendees” that, interestingly, were all from profiles of people based in Brazil. 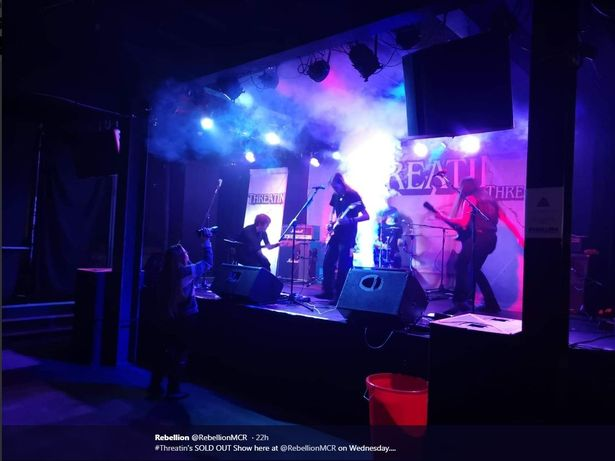 It was (just about) within the realms of possibility that he had a huge following in South America, and they were willing to pay thousands in flight costs to see Threatin in person, but (as expected), these attendees were also paid for. First and foremost, you should regularly create quality content to share on your Facebook page. Ensure that there’s a benefit to your audience (or potential audiences) in the information you share, and give them a reason to ‘like’ your page. This can be through expert advice that your page offers, or promotional offers that people will want to keep track of. You can increase your number of likes and page engagements through Facebook advertising. Target relevant audiences with custom segmented lists based on attributes such as personal interests, and your budget can ensure that your paid posts reach a wide, yet relevant, audience. You can also track the success of your paid posts to see what works and what doesn’t, allowing you to tailor your posts in the future. The quality of your services and your website, as well the customer service you offer, can also determine the amount of ‘likes’ your Facebook pages has. Likes are generally seen as a sign of endorsement, and are therefore something earned via the quality of one or multiple aspects of your business. Your website should also feature the Facebook icon, possibly among other social media buttons if applicable to you, in a prominent place on each place, i.e. at the top of each relevant page or even on a sitewide footer. When it comes to creating Facebook events, going to business conferences within your industry and networking with audiences and like-minded professionals can be a great way to get people to come to your event – as long as the event has real depth and substance to it and is worthy of your (and others’) time. Precisely what he did for Facebook likes, he paid for video views to inflate the “demand” for his content, and he also paid for video likes. You can use paid display ads either on social media or the Google Display Network (GDN), you can place content on relevant parts of website, or ask affiliated companies to place content on their website. 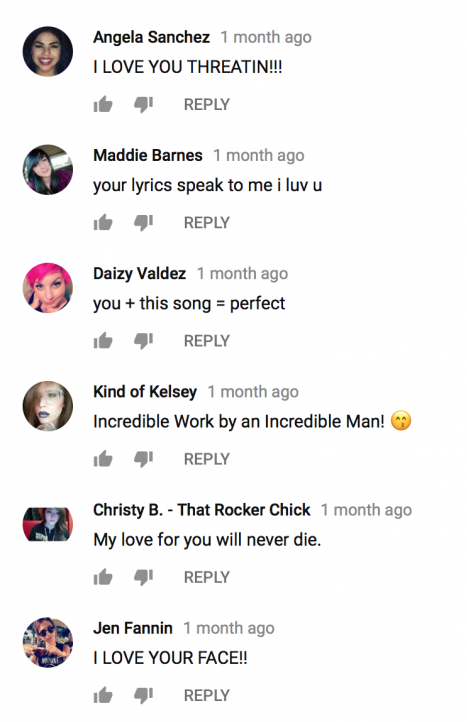 Threatin created multiple YouTube and Facebook accounts to leave outrageously positive and laughably self-promoting comments from supposed “fans”. Upon exploration of these accounts, it became clear that the users of these accounts had no online interaction of any kind online other than with Threatin’s content. 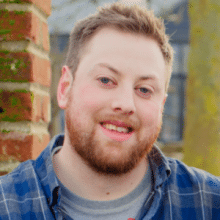 Use websites like Trustpilot to help build your reputations with reviews. You can encourage users to leave reviews upon completing a purchase with a placement on the “thank you for ordering” page, or through a follow-up email asking them to leave a review on a platform of your choice. When faced with criticism and questions following his European tour, he permanently removed his Facebook page, briefly made his Twitter and Instagram accounts private, and even deleted his own website – all without making a single statement on the accusations he was faced with. It was only after the storm had cleared that he released a somewhat bizarre statement admitting culpability, but made it appear as though he had predicted being found out, and that was all part of the process. By this point, it was too late – the stories were widespread and his backstory was unearthed. 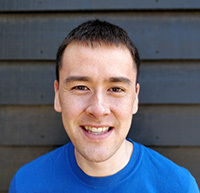 It became all too obvious that he wanted to halt his online presence – and spare his pages (and his ego) of the negative comments they were about to receive – until he’d figured out the best strategy to help him save face. Don’t delete your profiles or any negative posts, this will only make things worse. Instead, amiably respond to any customer complaints and make an effort to resolve them as soon as possible. This will show people that you’re a reputable company that takes pride and responsibility in their work; it creates a perception that only the best will do for your business, and that you will never try to “hide” dissatisfaction – you’ll put it right instead. If people believe that all your cards are on the table, they will feel that there is much less risk than there is reward when it comes to giving your business a go. NOTE: Taking your website down, as Threatin did, would also have disastrous effects from an SEO perspective. Even if you’ve just made a new, better website, don’t just delete your old site. Ever. Faking your statistics suggests that you don’t believe that your products, services or content is good enough to do well on its own. Focus on making your offerings as high quality as possible, believe in your business and then use legitimate marketing and hard work to spread the word and get your work in front of the right eyes. 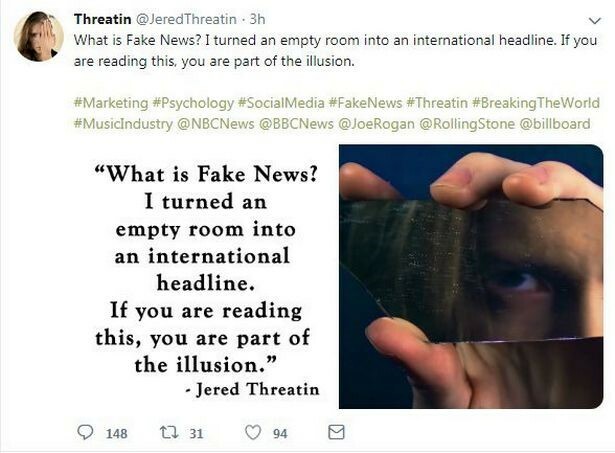 Remember, Threatin may have turned an “empty room” into an “international headline”, but he could never have known that would be the case, and now his reputation as an artist is tarnished; searches of his name will forever relate to his deceitful actions. The internet is a powerful place, and a digital footprint can last forever – make sure that yours is one you can be proud of. If you’re looking to achieve positive marketing results in the right way, get in touch with one of the friendly experts at Coast Digital for a free, no-obligation consultation.